Which is a song Seger won’t play live. It’s one of his best songs, but it’s from early in his career, a time he seemingly refuses to acknowledge. If you’ve spent any time reading this blog, you know we love Bob Seger’s early stuff. He was huge in Detroit and we heard him on the radio in Wisconsin long before he hit it big with the Silver Bullet Band in 1976. But because Bob Seger won’t play most of his great early stuff live, I didn’t go see that 2013 show, nor did I go see him when he returned to Green Bay last August. Which brings us to yesterday’s intriguing news that ABKCO Records is releasing a bunch of Bob Seger’s earliest singles on LP, in glorious mono, on September 7. “East Side Story,” the song championed by Larry, is the second cut on the forthcoming “Heavy Music: The Complete Cameo Recordings 1966-1967.” It draws from singles released by the Cameo label out of Detroit in 1966 and 1967. It’s intriguing because we’ve been down this road before and have been disappointed. In 2009, Seger teased us with “Early Seger, Vol. 1,” a regional release comprised mostly of deep cuts from some of his earliest LPs. Ten of the 14 cuts were from “Smokin’ O.P.’s,” “Back In ’72” and “Seven,” all released from 1972 to 1974. I have those LPs, so I didn’t need the comp. In 2011, Seger ignored his early days when he released “Ultimate Hits: Rock And Roll Never Forgets,” which was comprised entirely of songs from 1976 or later. Those of us who dig Seger’s early work again felt a little left out. So we put together a blog post of Bob Seger’s other greatest hits. Larry picked “East Side Story,” of course. “Heavy Music” was a consensus pick by our panel of experts. Appropriately, “Heavy Music” also is the first cut on the new release. Still, I wonder. I find it hard to believe that Bob Seger, always so reluctant to let his early stuff see the light of day, signed off on this. Perhaps he got a sweet deal. Perhaps he doesn’t own the rights to these releases and has no say. ABKCO re-released two of the Last Heard singles in 1973, but billed them as Bob Seger only. Whatever. I’ll be happy to get it when it lands in our local record stores come September, even if I’ve heard all but four of the 10 cuts. I already had two of the cuts on “Michigan Brand Nuggets,” a compilation of early Detroit garage and psych rock “fortified with 7 very rare Bob Seger songs.” It was released in 1996 and re-released in 2016. The two cuts are both sides of a Cameo single released in February 1967 and re-released as an ABKCO single in 1973. It’s been a nice morning, and I hope it’s been one for you, too. These three songs always make my Christmas. An 11-year-old Michael Jackson will forever convey the excitement of Christmas morning. That Christmas songs could sound like this was a revelation to 13-year-old me. 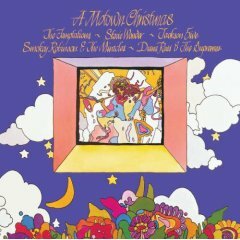 “Santa Claus is Comin’ to Town,” the Jackson 5, 1970, from “A Motown Christmas,” 1973. Also available digitally. “Snoopy’s Christmas,” the Royal Guardsmen, from “Snoopy and His Friends,” 1967. Also available digitally. “Happy Xmas (War Is Over),” John Lennon and Yoko Ono, the Plastic Ono Band and the Harlem Community Choir, released as a single, 1971. I’d always had it on “Shaved Fish,” the 1975 compilation LP from Lennon and the Plastic Ono Band. Until this year, that is. Found this while record digging. Delighted to have it. It’s also available digitally, of course. We usually wind up Christmas with the same three songs here, but Santa Claus has already come to town and gone. But after this year — After This Year — it’s still worth hearing the message in the other two. “Happy Xmas (War Is Over),” John Lennon and Yoko Ono, the Plastic Ono Band and the Harlem Community Choir, released as a single, 1971. 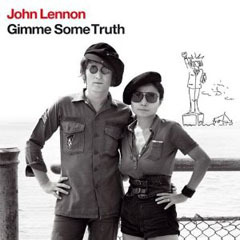 A remastered version is available on “Gimme Some Truth,” a 4-CD compilation released in 2010. Also available digitally. 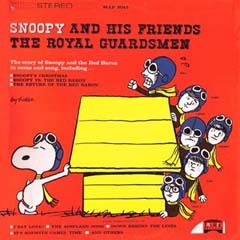 “Snoopy’s Christmas,” the Royal Guardsmen, from “Snoopy and His Friends,” 1967. (The link is to a double CD also featuring “Snoopy vs. the Red Baron,” their debut album from 1966.) Also available digitally. The legend: Jerry Lee Lewis. Still performing? Apparently so. There are no dates listed on his website, but his last gig was about six weeks ago in Mississippi. I’ve never seen him play live. What we must acknowledge but won’t dwell on: The Killer has gone through a whole lot of unsavory business. A scandalous marriage to a cousin who likely was 13 when they were wed in December 1957. Six other wives. Allegations of domestic abuse. Substance abuse. Arrested outside Graceland in November 1976, drunk and waving a gun. Jeebus. Where I came in: Hm. Not really sure about this, either. Perhaps when he covered “Chantilly Lace” in 1972, or perhaps when “Drinkin’ Wine Spo-Dee-O-Dee” crossed over from country radio in 1973. It wasn’t until 1989 that I bought my first Jerry Lee record, the “Milestones” greatest-hits comp released on Rhino Records to coincide with the release of “Great Balls of Fire,” the film in which Dennis Quaid played Jerry Lee. Appreciate the greatness: I have always loved piano pounders, and Jerry Lee stands with Little Richard as perhaps the greatest of them all. Jerry Lee’s late ’50s hit singles are among the cornerstones of rock ‘n’ roll. That said, here are some other tunes I dig. They recorded this on July 18, 1964, a Saturday night. (The liner notes incorrectly say July 1.) To hear this astonishing side, Jerry Lee clearly brought the greatest live show on Earth to town that night. In a mere 15 minutes, the Killer rips through covers of tunes by Little Richard, Charlie Rich, Chuck Berry, Elvis Presley and Ray Charles. “Jenny, Jenny,” “Who Will The Next Fool Be,” “Memphis,” “Hound Dog” and “I Got A Woman,” Jerry Lee Lewis, from “The Greatest Live Show On Earth,” 1964. This is Side 1. It runs 14:58. It’s out of print. “Roll Over Beethoven,” Jerry Lee Lewis, from “Jerry Lee Lewis: By Request,” 1966. It’s out of print. Recorded live at Panther Hall ballroom in Fort Worth, Texas. You’ll find both of those live records on “The Greatest Live Shows On Earth,” a 1994 CD. My friend Larry introduced me to this one over at his mighty Funky 16 Corners blog. It’s probably the best cut on an otherwise ordinary record on which Jerry Lee seems to have lost his way. “Shotgun Man,” Jerry Lee Lewis, from “Soul My Way,” 1967. It’s out of print, but is available on this double CD with “The Return of Rock” LP from 1965. After turning to country music with some success, Jerry Lee returned to rock with mixed success on some interesting records on the Mercury label in the early ’70s. Here are a couple more rip-roaring covers. “Me and Bobby McGee,” Jerry Lee Lewis, from “The Killer Rocks On,” 1972. It’s out of print, but is available on this import CD released in 2004. “Hold On, I’m Coming,” Jerry Lee Lewis, from “Southern Roots: Back Home To Memphis,” 1973. It’s out of print, but is available on an expanded Bear Family import released in 2013. This is Jerry Lee at his lewdest, his most lascivious, produced by the equally notorious Huey Meaux. Just filthy. Once again, all I really need for Christmas are these three songs. After a Christmas season in which less was more, all I really need for Christmas are these three songs. They come from a more innocent time.